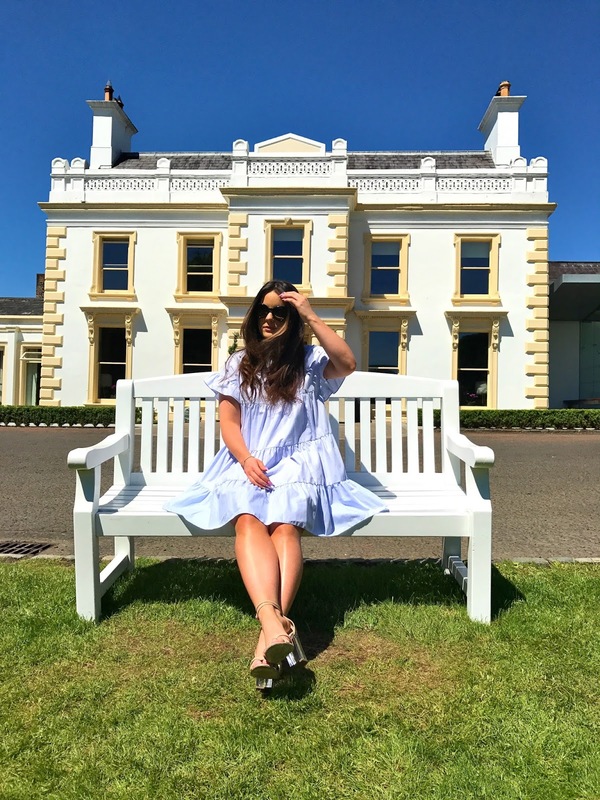 Recently my boyfriend and I spent two luxurious days at the Galgorm Resort & Spa to celebrate his birthday and it was absolute heaven from start to finish.We stayed in one of the deluxe suites and whilst that wouldn’t be something we would do every time we visit, it was definitely worth it for the few days we were there.From the moment we opened the door of our room, we were in the lap of luxury with the spacious lounge area, cocktail bar, dining room and balcony and that was before we even got as far as the bedroom and bathroom.I honestly cannot express how much I love this place and I would definitely recommend that you visit at some stage if you can, even if its just for a spa day with your girlies. Dinner in FratellisIf you are a fan of Italian food you will be in heaven in Fratellis. The risotto is a personal fave but literally everything is to die for. The only downside is that, if you plan to go for a few drinks afterwards then it won’t happen because you will be in a food coma! So get ice-cream ‘to go’ and collapse into bed! Gin Tasting at the Gin Library This was such a lovely treat and a nice way to start your evening. It took place in the gin library and was hosted by their gin consoisseur who prepared three different drinks for us based with Hendricks gin. The first was a gin and elderflower tonic with rose petal and cucumber, the second was gin neat and the third was a gin and elderflower cocktail. Breakfast in GilliesWe stayed in a deluxe suite which meant we had breakfast in the River Room, which is beautiful but definitely for a more refined palette. If you love nothing more than a good old ulster fry then definitely go to Gillies. The Signature MassageIm not really a fan of spa treatments such as facials etc but one thing I am a total sucker for is a back massage. As I am permanently stressed out, I build up a lot of tension in my shoulders so I love nothing more than chilling out with a nice massage. Highly recommend the 55min treatment. The Thermal VillageThe thermal Village is like nothing I have seen before in any other hotel. 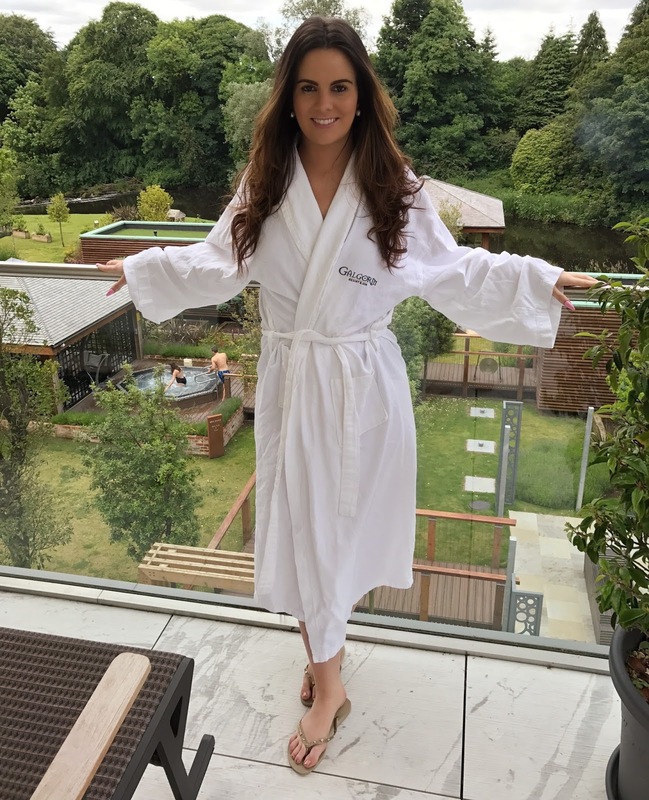 Set along the banks of the river, there is everything from glass front saunas to outdoor hot tubs and it is a wonderful place to spend your day. It also includes some fab indoor facilities such as a snow room, two large swimming pools, steam rooms etc. It is a little piece of heaven and you will never want to leave. A Cocktail in the OrangerySometimes the facilities in the Thermal Village can become a little crowded so whilst you wait for the hot tub to free up or the sauna to empty, then go into the orangery, order a strawberry daiquiri and chill out in the stunning peaceful surroundings. It is so relaxing on the swing chairs that I even fell asleep. Afternoon Tea in the ConservatoryThe conservatory is one of the most beautiful places in the entire hotel and I highly recommend that you have afternoon tea or at least a coffee in here. With views of the river and its stunning decor, it is the perfect place to just totally chill out and relax. My favourite look of the trip! Relaxing in my robe!